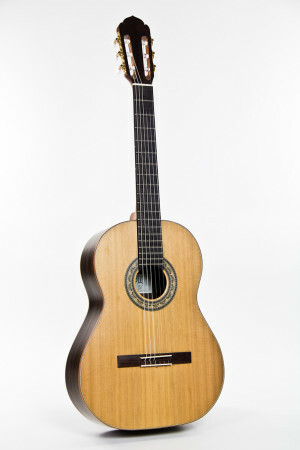 Classic Line I is a guitar for ambitious players. 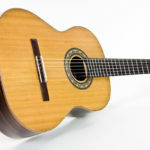 Because of its sound quality and playing characteristics, it is capable to assist with a student’s final exam. 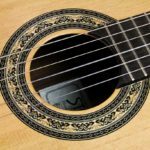 It reacts directly and precisely and rewards the player with a soft, sensitive tone that unfolds quickly and sustains slowly and evenly. As a model of the premium class, Classic Line I has an elaborate suspension of the top by means of individual blocks instead of linings and a Spanish neck, the best and most elaborate neck-body joint. 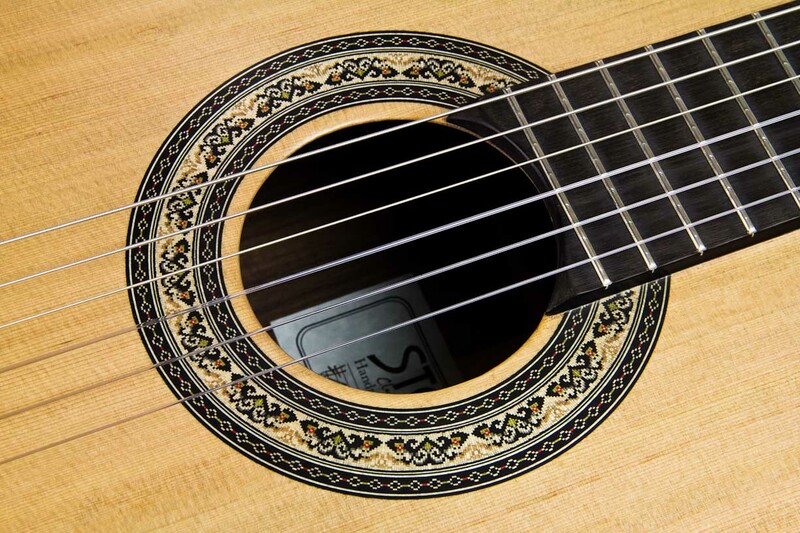 It ensures unimpeded vibration flow so that not even the smallest bit of sound is lost. 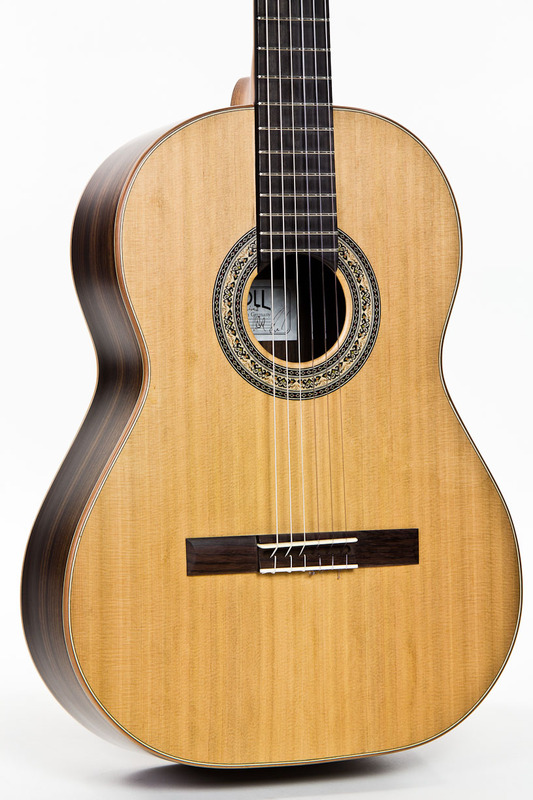 The excellent playability of Classic Line I results from the flat neck, an outstandingly adjusted string position, careful "fine tuning" and light construction. 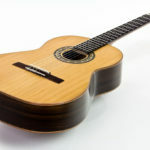 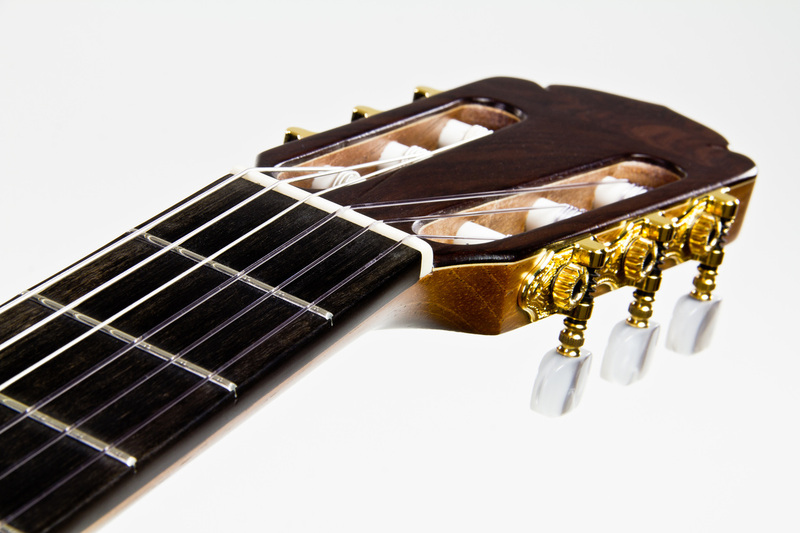 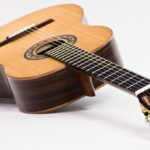 We prefer a neck width of 51mm for this classical guitar, other neck widths are available without surcharge. 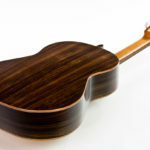 Back and sides of this model are of Indian Rosewood with a Cedar top. 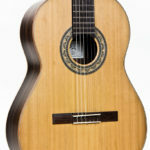 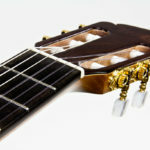 Indian Rosewood is the most popular wood for classical guitars. 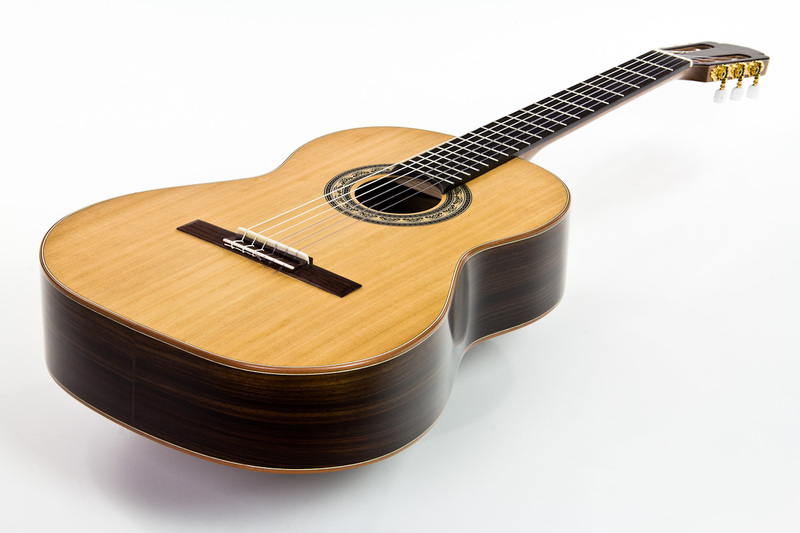 It supports the sound characteristics of Classic Line I, by emphasising the low mids and thus generating a full and rich sound. 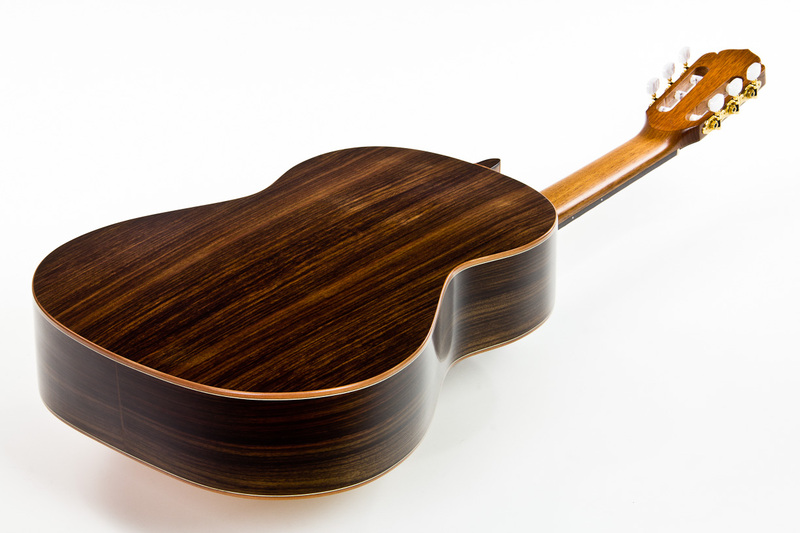 We also like to use different woods such as Amaranth, Indian Walnut, Burmese Rosewood and other exotics, each of which adds its specific touch to the sound. 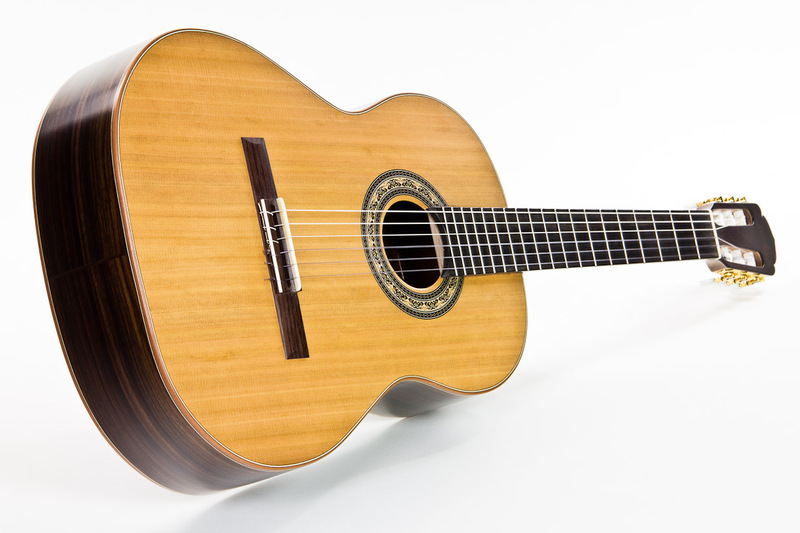 Of course, we also build this classical guitar with Spruce top.